I'm loving my class! They are working hard and (hopefully) learning a lot. Every morning, they have part of a handwriting packet to do, and almost all of the students go on past where they are supposed to stop every day because they say they love handwriting so much. I can't really complain about them wanting to practice handwriting..... haha. I'm loving our class's new book boxes! Inspired (once again) by the amazing Lindsey at The Teacher Wife, I ran out to IKEA last week to buy these book boxes. They were 5 for $1.99!!!!!!!!!!!!!!!!!! How can you even beat that? My kids are obsessed with them and they have been super excited about decorating them. I'm hoping this excitement transfers to the books housed inside. They were sad when I said they could only put 5 books in their boxes! I'm loving our space unit! Today we made little models of how the sun lights part of the earth while the other part has night. They were pretty simplistic but the kids were just amazed. They were also amazed at the quality of the picture that I'm posting of the finished product. They think I am a great photographer, haha! I'm loving International Peace Day. I read two books in honor of this awesome day: Can You Say Peace? by Karen Katz and The Peace Book by Todd Parr (whom I love). And of course, we did corresponding activities for each book! 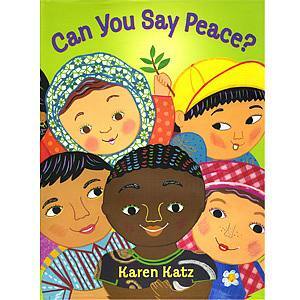 For Can You Say Peace?, I found a little reader's theater that goes along with the book in a Library Sparks magazine. It is really cute and perfect for first and second graders! Each kid represents one country, so they say, for example: "My name is Carlos. I live in Mexico. I say paz." There are 11 different countries featured in the book, and they aren't all European countries!!! Hooray!! We have been practicing like crazy and we're going to perform for each class on Friday! 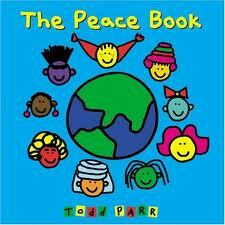 For The Peace Book, after reading it, we created our own version. The students had to write, "Peace is ____________" and fill it in with their idea of peace. They did a good job! I'm loving taking walks with my mom and pupster at our local conservation area! And finally, I'm loving my boyfriend because is the bomb dot com! We went out for Chinese last night and it was deeeeeeeeeeeeeeeeeeeeeeeelicious and made for a great lunch today! 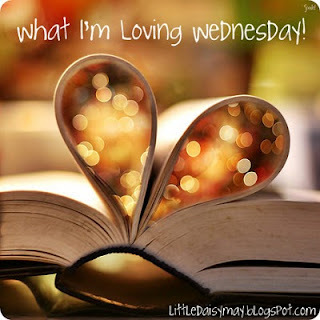 Not only am I linking up with What I'm Loving Wednesday, but I'm also linking up with Ms. Kerri and Her Krazy Kindergarten for her positive things linky party!! Love your book boxes. I was talking to my kids today about getting them some. We are currently using one bin per group and students store their materials in a large ziploc bag. Not working so well! No IKEAs here in New Orleans. I wonder if I can find them online? Your class looks wonderful. Thanks for linking up. I too love Ikea but I don't even know where the closest one is. Maybe Atlanta. It makes me happy to read others positives. I love the 'Can You Say Peace' project! Sounds like your students enjoyed it too, their drawings are so sweet. This week I was searching for online math games for kindergarten and came across a good one, I think. I will be trying it our next week and see what my kids say! Really hope they like it as much as I did. Have a great weekend :) cute pup btw! I know you just got one, but I included you in my Versatile Blogger award, too! You can find it here! What I'm Loving ... Thursday? Even and Odd Street AND Top 10!